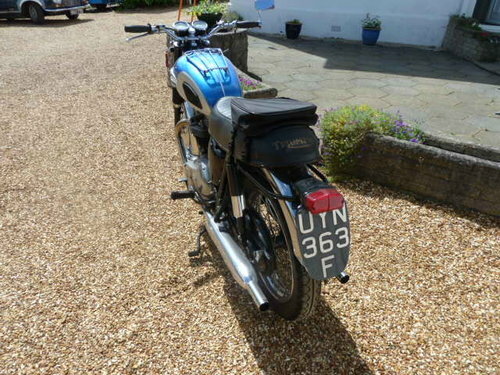 Exceptional Matching Numbers Genuine UK motorcycle in correct colours for the year. 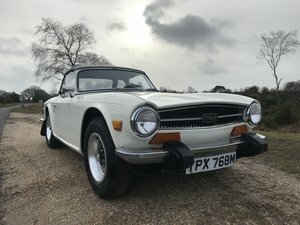 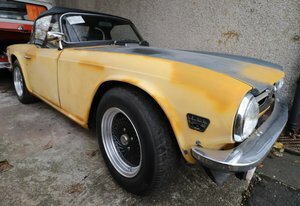 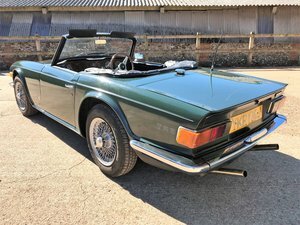 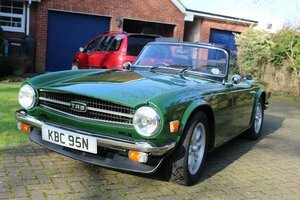 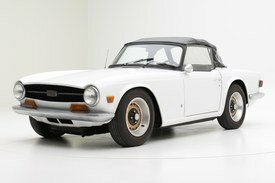 Sadly age and health mean I am reluctantly selling my much loved 1968 Triumph TR6 Trophy . 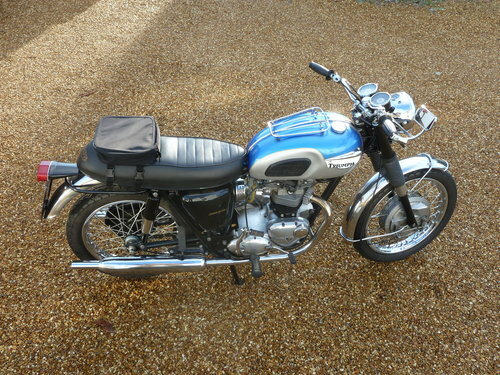 I have owned and thoroughly enjoyed showing and riding this bike over the last 10 years. 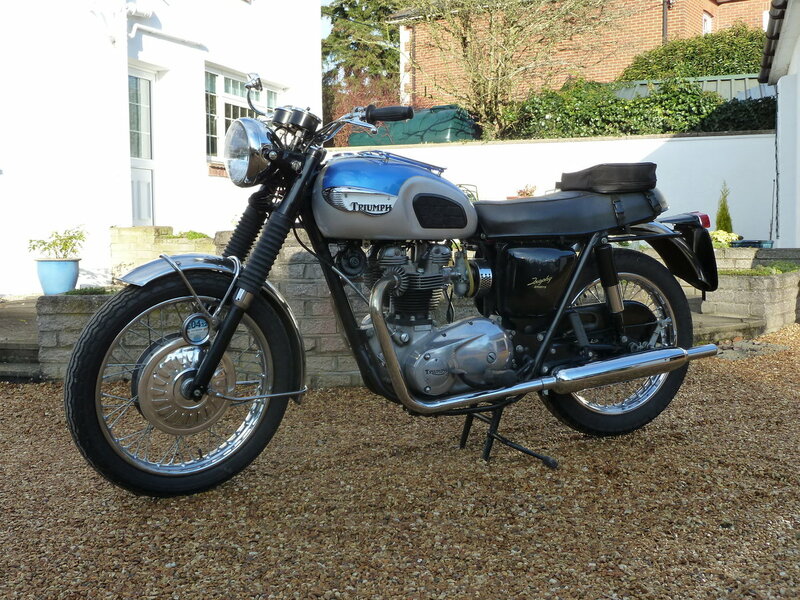 Maintained regardless of cost during my ownership and performing faultlessly, this bike has been subject to a nut and bolt restoration to American Spec (despite it always being an original UK bike)immediately before I bought it so was already mechanically perfect when bought. 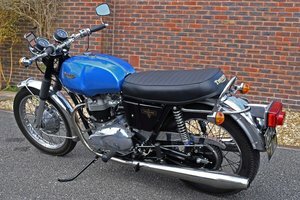 Since then, I have totally rebuilt it again but back to UK spec and painted in the correct metallic blue/silver livery for it’s year. 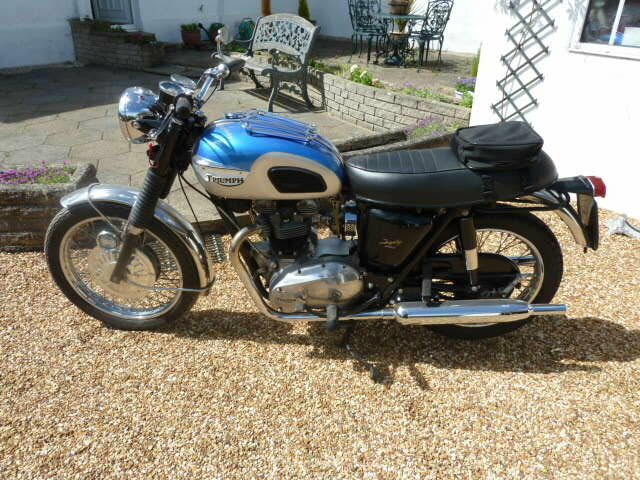 Returned to the larger handsome UK tank, smaller bars and tank rack plus new UK saddle, I retained the stainless mudguards as I bought it to ride (painted guards are much easier to damage) and installed electronic ignition for guaranteed easy starting and best running. 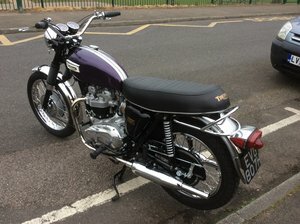 In reverting to English spec, I selected new handlebars to my personal pattern so these are not exactly standard Triumph pattern but suit my riding style/comfort better. 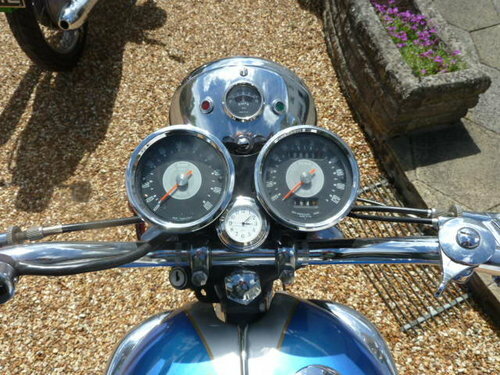 It would be easy to change them to standard as this would not require any other part changes (cables/levers /switchgear) if the new owner wished? 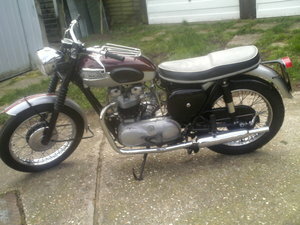 Starting first kick, the motor is very strong and responsive with no issues whilst the whole bike has no known faults. 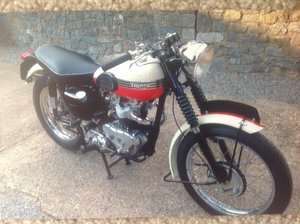 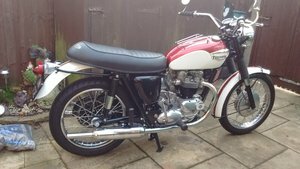 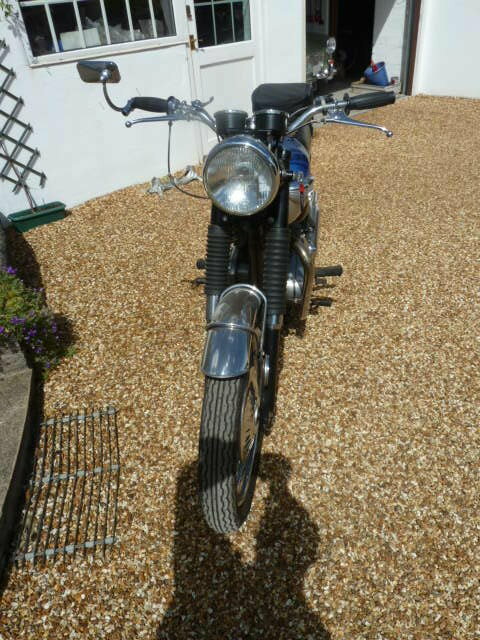 I particularly selected 1968 as the year to own because it was the first year that was equipped as standard with a twin leading shoe front brake. 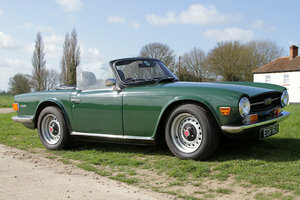 It is a superb powerful stopper which is so necessary on modern roads. 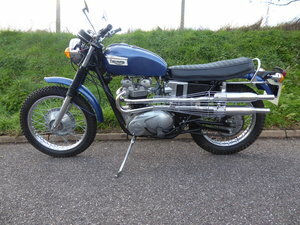 I will be very sad to let it go but it deserves to be ridden and enjoyed.